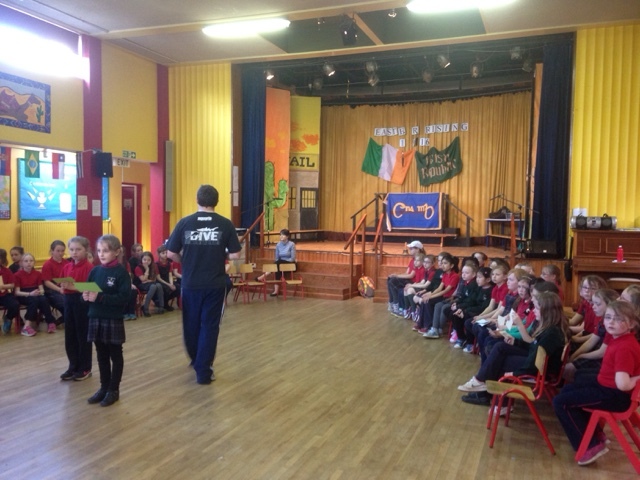 Room 22: Practise, practise, practise! We've been having a very busy week this week! 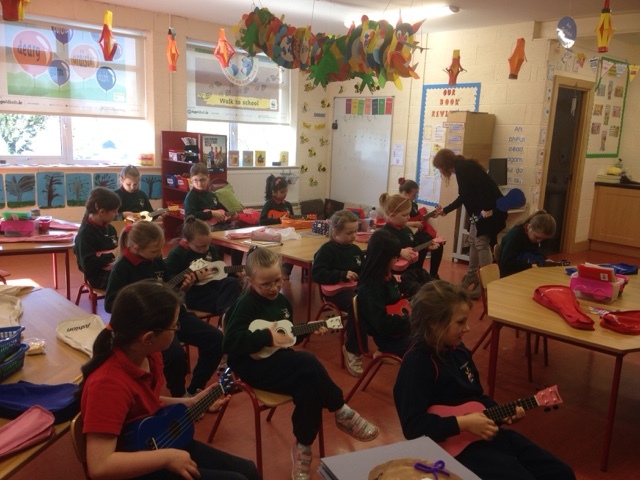 On Wednesday we continued our ukulele lessons and learned a new chord - G.
We've also been preparing for our First Holy Communion mass on Saturday, going over our prayers, songs, seating arrangements etc. Here's a picture of us mid-practise!